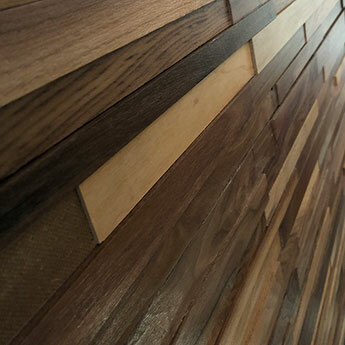 This stylish Walnut Wood cladding comprises of timber panels attached to a backing board. 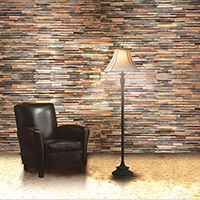 This brown cladding is perfect for adding a unique character to interior areas. Not only can Walnutwood Timber Cladding be used on walls but is also a suitable covering for ceilings. 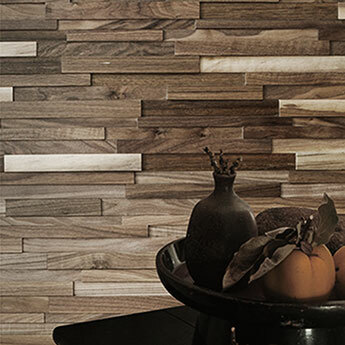 This cladding has a rustic appeal and is ideal for creating a log cabin style. 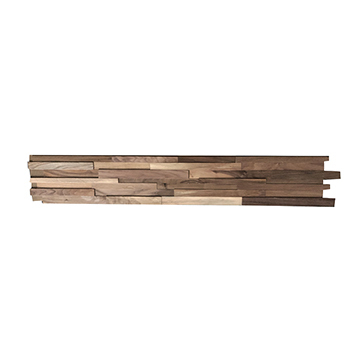 In living rooms, this wood cladding is perfect for feature wall designs. 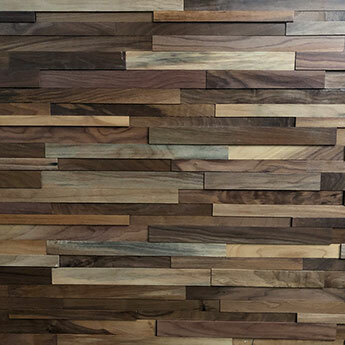 Not only is this timber cladding acquired for home designs but it is also a great choice for bars, restaurants and shops. 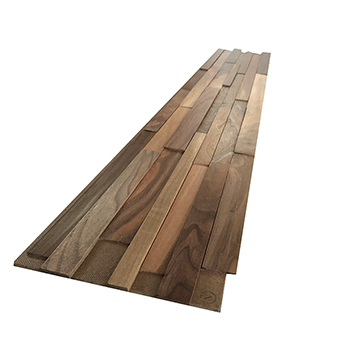 If you are interested in using this timber cladding as part of your next project then it is quick and easy to order a sample from Tilesporcelain.